Raelynn Rivers dreams of reviving her floundering career. The "Country Music Queen" hasn't had a number one hit in six years, and her song-writing ability has vanished. But Raelynn's hopes are derailed when tragedy strikes. Returning to her home town forces her to confront her pastLane Ryan, the childhood best friend and former fiance she abandoned in order to pursue her music career. In the snow-covered mountains of Appalachia, Raelynn reconnects with family and rediscovers her musical abilitiesand her faith. And no one inspires her more than Lane. She's finally ready for a relationship, but the secret Lane carries is as big as Coal Mountain and threatens any future they may have together. Second chances don't come around every day. Will Raelynn sacrifice her career this time or say goodbye to Lane forever? Candice Sue Patterson studied at The Institute of Children's Literature and is an active member of American Christian Fiction Writers. She lives in southern Indiana with her husband and three sons in a restored farmhouse overtaken by books. When she's not tending to her chickens, splitting wood or decorating cakes, she's working on a new story. Candice writes Modern-Vintage romance--where the past and present collide with faith. 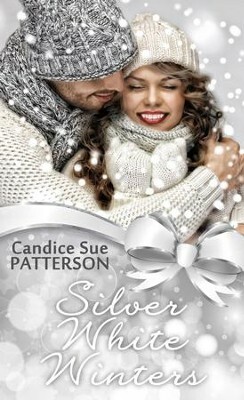 Visit her website at www.candicesuepatterson.com. I'm the author/artist and I want to review Silver White Winters - eBook.